With horses living longer, it stands to reason ailments that affect geriatric seniors will also be more prevalent, such as Cushing’s disease, osteoarthritis, gastrointestinal problems, and chronic pain. But what about mental decline? Can horses be affected by senility or dementia, similar to elderly humans? A hundred years ago, horses in North America typically didn’t live long lives. Most were used for transportation, farming and other work purposes and it wasn’t economically feasible to keep a horse past his useful years. Now, the majority of horses are used for pleasure or sport. With better diets, management, husbandry and veterinary care than ever before (as well as more personal attention from doting owners), it’s not unusual to find horses living well past the age of 25 – even carrying on into their 30s and 40s. Although exact figures are hard to find, it’s estimated between seven and 20 per cent of the North American equine population is 20 or older. With horses living longer, it stands to reason ailments that affect geriatric seniors will also be more prevalent, such as Cushing’s disease, osteoarthritis, gastrointestinal problems, and chronic pain. But what about mental decline? Can horses be affected by senility or dementia, similar to elderly humans? Surprisingly, there has been very little medical research done in this area. 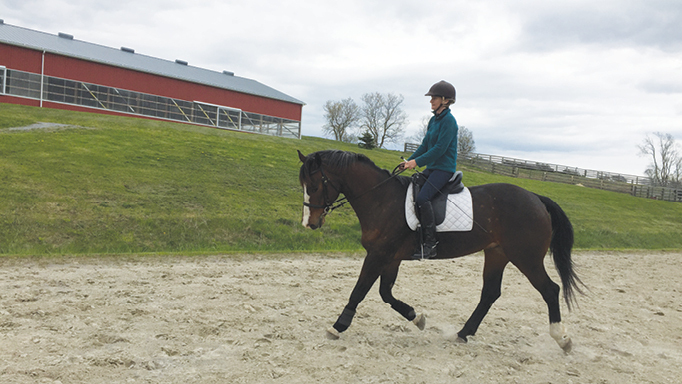 “Although research has been done on the older horse, it is really in its infancy,” says equine geriatric specialist Dr. Mary Rose Paradis, associate hospital director at Massachusetts’ Cummings School of Veterinary Medicine, in her essay, Biology of Aging in Horses. It has long been established that cats and dogs can suffer from dementia; autopsies of both species show the same type of brain lesions as Alzheimer’s patients. If other animals can experience this form of cognizant deterioration, it makes sense that horses could be similarly affected. According to the Canadian Alzheimer’s Society, human dementias “are fatal, progressive and degenerative diseases that destroy brain cells. They are not a normal part of aging.” Owners of older horses may note the following changes which are all hallmark signs of human dementia: uncharacteristic forgetfulness, confusion, unusual dependency on companions, aimless wandering, depression and even mood changes such as grumpiness. Dementia is not a condition strictly reserved for older horses, however; it can affect even younger animals if they contract encephalitis, suffer head trauma or an embolism, develop a forebrain lesion or a number of metabolic disorders. In a paper on Forebrain Diseases by Robert J. MacKay, BVSc, of the College of Veterinary Medicine at the University of Florida, he explains that the temporal lobe of the cerebrum controls learning-based behaviour and that any structural, metabolic, or psychological disturbances affecting this area may result in dementia. He goes on to define dementia as “changes in normal habits, personality, attitude, reaction to the environment, or loss of learned skills.” Symptoms may include disorientation in a familiar environment, failure to recognize a handler or object, inability to be led, frequent yawning, head-pressing, irritability, unprovoked kicking or biting, compulsive walking or circling, and dramatic changes in eating or drinking habits. Paradis suggests that owners who feel that something is mentally amiss with their horse – regardless of their age – do not adopt a “wait and see” attitude. 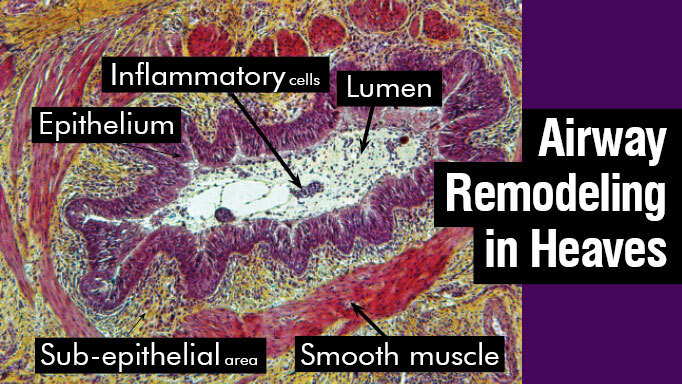 The problem could be caused by a condition such as loss of vision, brain tumours or liver disease. If the onset of confusion or disorientation is sudden, it could also herald something extremely serious such as Eastern equine encephalitis, West Nile virus or even rabies. Even severe vitamin B deficiency can cause dementia.”If people start to see changes in their horse’s personality or something that might appear as confusion, they should call their veterinarian to do a thorough exam and blood work,” advises Paradis. 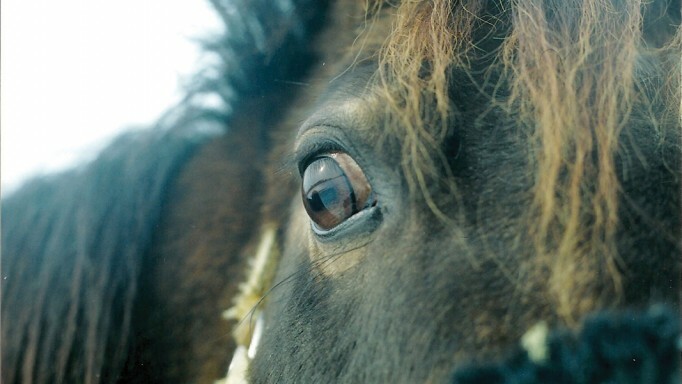 In 2010, Italian researchers published a study in the Journal of Comparative Pathology, undertaken because, according to the scientists, “Many age-related changes are described in the nervous system of different species, but detailed studies of brain lesions in aging horses are lacking.” They identified lesions in the brains of 60 horses aged from seven to 23 years in order to determine whether these changes could be distinguished from pathological (disease) processes in future studies. 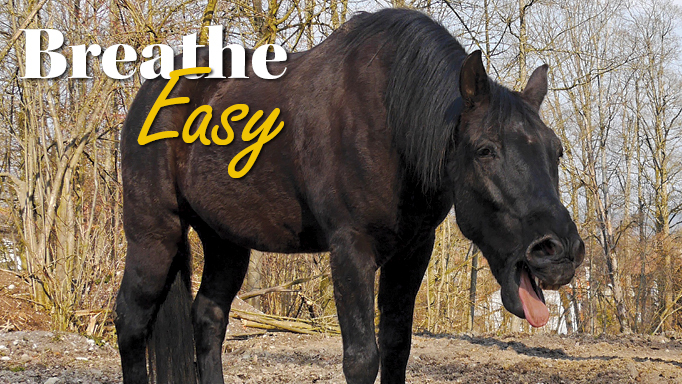 – Try to keep the feeding and turnout routine the same daily – Only turn him out with a kind and familiar companion – Lead him directly into his stall or paddock – don’t leave him up to his own devices to find his way around. – Make sure that when turned out he is actually using the run-in or other shelter; the concept of staying dry or out of the sun will likely be lost. Blanketing may be necessary in cold weather. – Monitor his paddock time to make sure he is not being bullied or chased from his food. – Address any pain issues with medication; discomfort can add to distress and disorientation. – Don’t ignore him – even old horses need love and regular grooming, even if he has no recollection of who you are. While euthanasia is inevitable, judicious caretaking can make an older horse’s life more bearable. He will let you know when it is time. 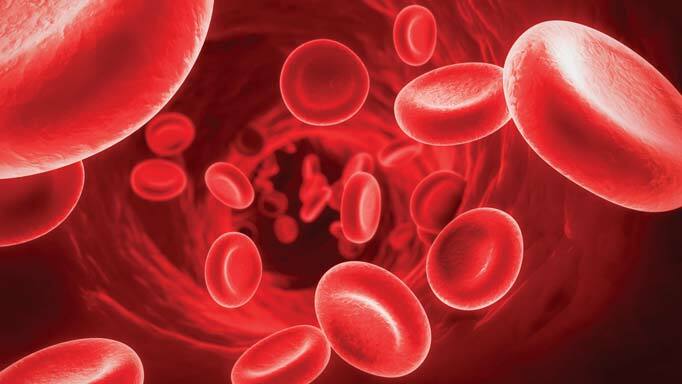 How a blood type conflict can prove fatal to newborn foals. I found your article of equine dementia very interesting. I have a 33-yr old appendix who just went totally blind this past year and for the most part has adapted better than we thought but he has bouts of pacing, trotting in circles, going off food and not recognizing us for a day or so and then it disappears and he goes back to grazing and being almost normal. We track his behavior and on average he has 4-6 bad days/month. I’m not sure at what point I will take a decision as seeing him in that lost state just once is one too many. I’ve had him 29 years. It breaks my heart and yet just when you’re ready to make the vet call you see him grazing in the pasture in a peaceful and calm world of his own. I’m really torn and our local vets really don’t know much about horses at this age. Hi, Linda. My quarter horse is around 33. I’m just beginning to observe a dulling of senses such as appetite, eyesight, agility. But gratefully, not the sort of confusion you are experiencing. I wish you and you’re senior good fortune. My vet was out yesterday for a check up. He opined that my horse has some dementia, yet there are not strong symptoms. It’s new territory for me in my 26 years with my boy.